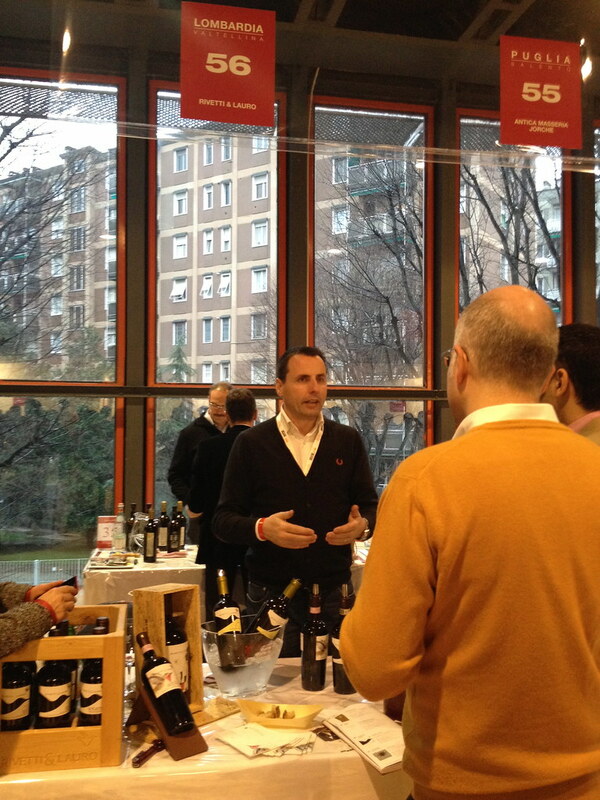 The Milano Food & Wine Festival is taking place this weekend at the MiCo Milano Congress up near Piazza IV Febbraio. Yesterday, Angela and I headed up there to check things out. First, we learned that I am no longer qualified to be the dedicated map reader. My ability to orient myself on a map is clearly getting worse with age, instead of better. The good news: it wasn't raining when I added 10 minutes of walking, in the wrong direction, to our journey. Once we had entered the festival, we weren't exactly sure what to do. There didn't seem to be much clear direction as to how everything worked...or because our Italian is less than amazing...we couldn't read or understand much in its entirety. We did find a table where you put a 10 euro deposit down to get a wine glass. That glass definitely got returned! From there you wander about to the various tables and start tasting! The various wine makers were arranged by region, and Angela and I were trying to hit at least one table from each region. 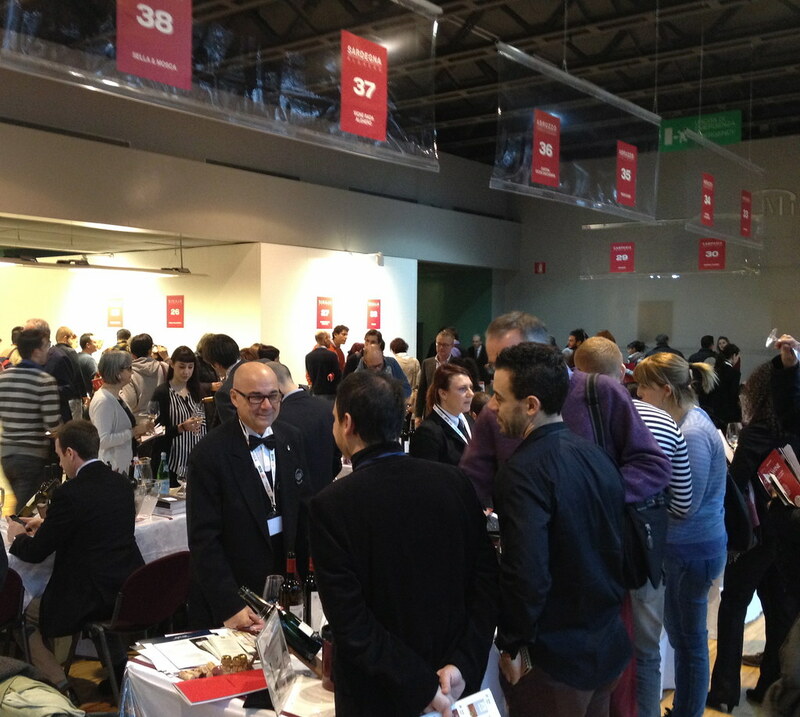 There were red wines, white wines, sparkling wines, and more. After awhile, it was easy to lose track of what you were tasting, what region it was from, and whether or not you even liked it! 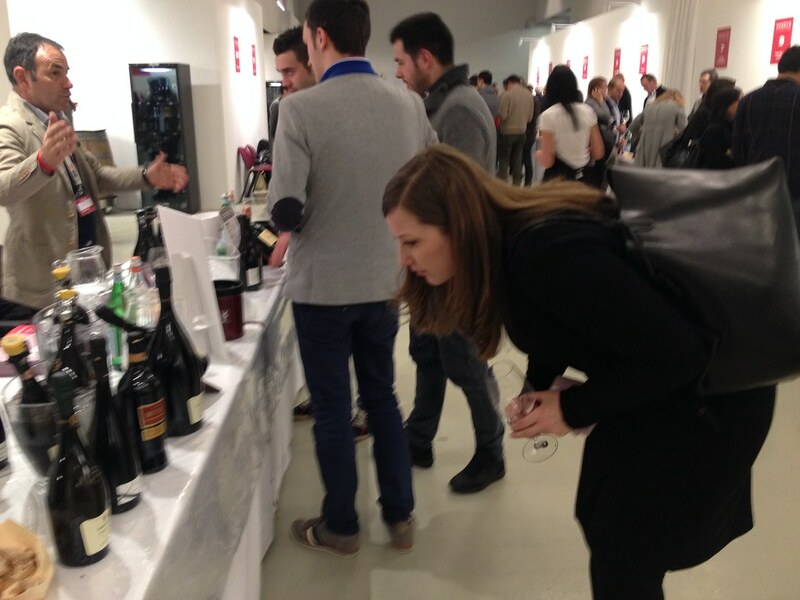 I did try and use a new app, Vivino, to keep track of the wines I was tasting. By scanning a picture of the wine's label, you can rate the wine and see what others have said. You can also follow people and see what they are saying about different wines. This is interesting because, for me, as someone who knows nothing about wine I can see what some more experienced tasters are saying and see if it makes sense to me. There is a lot of possibility with this app and I hope more people will start using it so that more and more wines are rated. While there was plenty of wine to taste, the "food" part of this food and wine festival was definitely lacking. There was a section dedicated to some cooking lessons or shows. Some of the other ASM people we ran into had signed up for two of these activities, but they never actually got to cook. They were asked just to stand at a stove top with several others who were doing the same and watch the chef on stage. There was also a section of food where you could buy a plate and then go through a line to try some things, but it didn't exist long enough for us to check it out. Other than that, there just weren't other options. A couple of trays of appetizers passed us and we gobbled up as much as we could because, by this time, we were starving. Tickets were available online in advance of the event and at the door. We paid almost 30 euro per ticket buying them online (several fees were tacked on to the 25 euro admission price) and I'm not sure what the tickets cost at the door. There was a coat check available for three euro. I thought that there would be wine for sale at this event, like at the Truffle Festival in Alba, but that wasn't the case at all. To get here, take the 27 tram from the Duomo all the way to the end of the line at Piazza IV Febbraio. Do you have a favorite wine region in Italy? Leave a comment below to share your favorites!